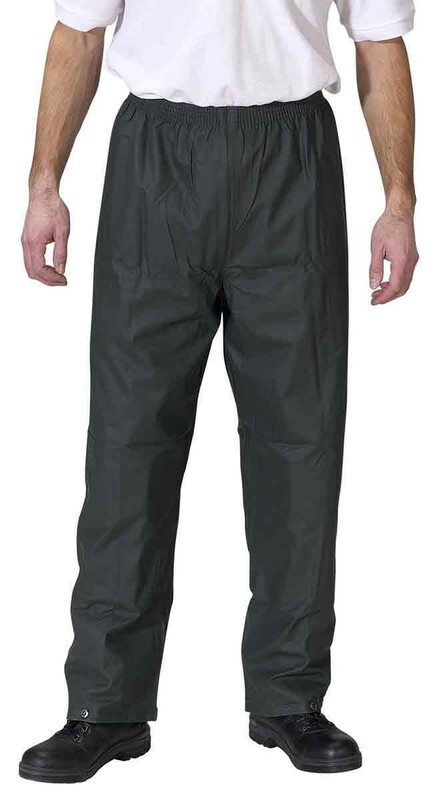 Super B-Dri Trousers are superb value waterproof overtrousers. Light and comfortable polyester with PU coating. Elasticated waist and studded ankles. The puncture resistant and easy rinse properties of this garment make it ideal for use when strimming. To match Super B-Dri jacket SBDJ. 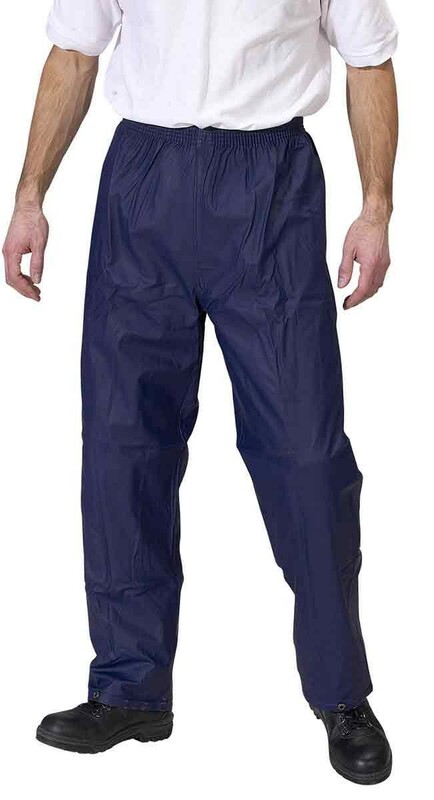 Needed 'stab proof' trousers for when I am pruning my Norway spruce Christmas trees as the needles would pierce through jeans etc and irritate my skin. I've only used these trousers a couple of times so far but they have been great. No more getting jabbed by spruce tree needles and they are waterproof.